Hakuba Valley and its nine ski resorts invite you to experience an unforgettable adventure of snowsports and traditional Japanese culture. Offering a diverse selection of terrain, the 200-plus runs in Hakuba Valley are blessed with an abundance of snow. Host of the Winter Olympics, Hakuba presents world-class snowsports infastructure and terrain. The village offers many fantastic cultural attractions and activities to engage and educate students. Touchdown in Tokyo Arrive in Tokyo and journey through the snow-blanketed countryside to your snowsports destination, Hakuba. 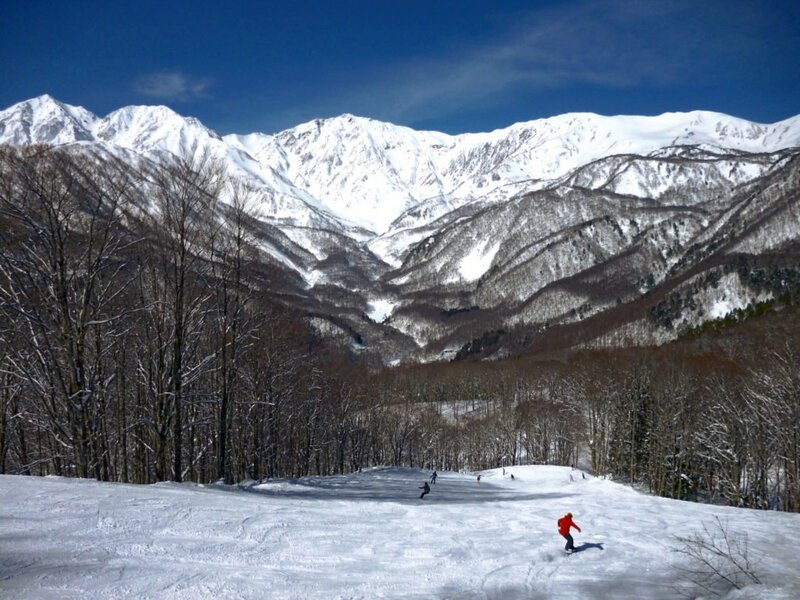 Explore Hakuba Valley Get to know Hakuba Valley, featuring 9 ski resorts and expansive terrain to suit all abilities. First tracks in Hakuba Meet your expert instructor and take your first snowsports lesson. Afternoon snowsports Spend the afternoon practicing new skills in the unbelievably fluffy Japanese snow. Optional activity: Snow shoeing Experience the serenity of the snow forest and get some exercise at the same time on a snow showing tour. Second lesson Explore Hakuba's marked trail network with friends in your second lesson. Afternoon snowsports Put into practice the new techniques introduced to you during your morning lesson. Onsen soak Unwind and rejuvenate like the locals in your private onsen. Third lesson Feel at home on the slopes and set your sights on bigger challenges during your snowsports lesson. Afternoon snowsports Perfect your carve during free time to ride in the afternoon. Optional activity: Kimono and tea ceremony Get dressed up and enjoy a traditional Japanese Tea Ceremony. Forth lesson Start the day with first tracks in your morning lesson. Afternoon snowsports Explore more of the Japanese Alps in your free time. Evening activities After a wholesome dinner practise your Japanese phrases, learn the traditional wooden toy game of ‘Kendama’ or relax with a book. Snow Monkey Park Travel to the Jigokudani Snow Monkey Park, the only place in the world to see monkeys bathing in hot springs. Obuse Visit the ancient Obuse, a small Japanese town with a big history of art. Zenkoji Learn about Buddhism in Japan at the 1500-year-old Zenkoji Temple. Fifth lesson Get back onto the slopes for another lesson under the tutelage of your instructor. Afternoon snowsports Challenge yourself to ace your first trick during the afternoon. Final lesson Make the most of your last lesson with your professional instructors in powder paradise. Afternoon snowsports Fly through the deep snow with friends in the afternoon. Explore the town Wander around your local area and try a crepe at a street stall. Thank you for your interest in our WorldStrides Hakuba Culture & Snowsports Tour Tour! Please tell us a little more about yourself so we can get you sent to the right place.